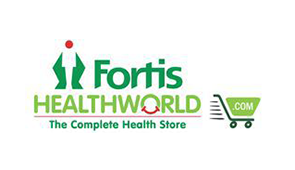 Fortis HealthWorld is one of India’s leading health and wellness retailers with major presence in Delhi/NCR, Bangalore & Pune regions. The brand also has an online extension of its stores www.fortishealthworld.com. The company’s philosophy of being the “The Complete Health Store” is what drives the brand to bring forward the most premium products both in terms of health and wellness. The latest set of products to hop onto their bandwagon is a range of air purifiers from top-notch brands such as Daikin, Sharp, Phillips etc. When contacted for a comment on this recent development- The Company CEO- Mr. Rahul Chadha said: “Since the beginning, our primary objective has been to offer our loyal patrons the best range products from top brands. For this very reason, we put together a comprehensive list of all sorts of healthcare, wellness and beauty products matching premium quality. Keeping in mind the need to have our product categories stay relevant to the needs of present times and in order to serve our customers better, we endeavor to introduce product categories such as Air Purifiers at Fortis Healthworld”With the air quality in major cities such as New Delhi seeing a rapid decline, it is necessary that we use quality air-purifiers, rather than continue breathing in the heavily polluted air. “We wanted to ensure that our customers can find all kinds of wellness products on our portal and in our retail stores. One should be able to breathe good quality air in the comfort of one’s home.”- said Mr.Chadha.For more details about such air purifiers, please log on to www.fortishealthworld.com. About UsFortishealthworld.com is the ecommerce portal of RWL Healthworld Ltd. (formerly known as Religare Wellness Ltd.), one of India’s leading health care retailers which operates a chain of over 100 retail stores across India. Fortishealthworld.com has been founded with a vision of extending discerning store services and an exciting assortment of wellbeing products, to its customers, at the click of a button. In today’s age time is at a premium and the ability to be able to shop at one’s convenience is a must have. This is exactly what fortishealthworld.com endeavors to provide, convenient and secure shopping with a quality guarantee. Our network also enables us to get products to our customers much faster than other ecommerce operators in this space: no long waits! No follow-ups! Our experience in sourcing the highest quality products from some of the best brands in the world, gives us the ability to sell with confidence while ensuring that customer satisfaction is guaranteed. Our assortment includes a wide range of health and wellness products especially in the areas of Baby Care, Nutritional Supplements/Foods, Home Care Devices, Diabetes Management, Beauty and Personal Care Products.